Love comes in so many beautiful shapes and colors! 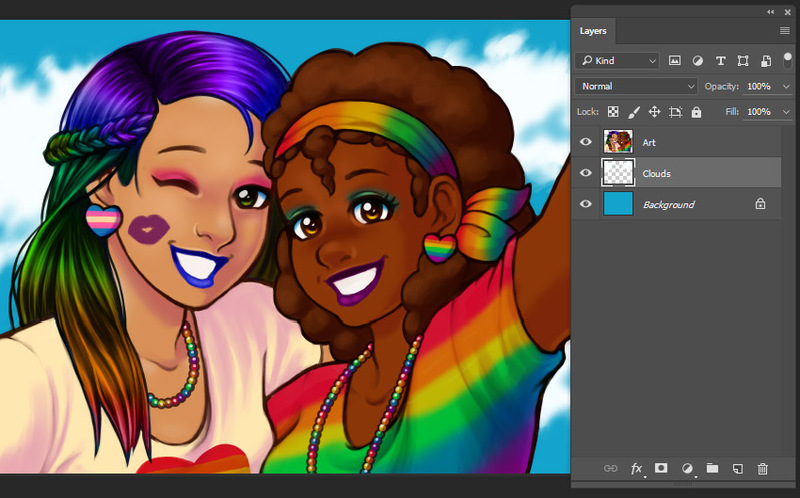 In this tutorial, we’ll draw and paint a happy, colorful couple in Adobe Photoshop. We’ll also incorporate symbolism that references both the Transgender Pride Flag and the Rainbow Pride Flag. 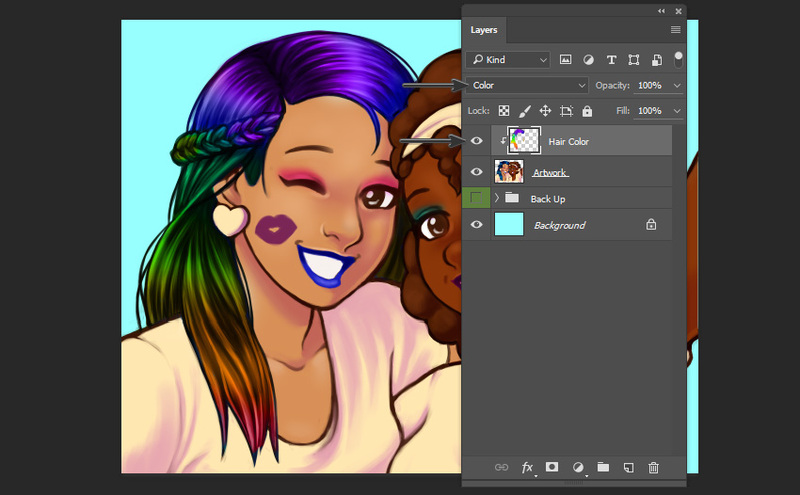 We’ll be working in Adobe Photoshop from start to finish in this tutorial—from the initial sketch to the finishing touches. You should already have familiarity with Adobe Photoshop. This would include concepts like creating new documents and basic tool functionality. Let’s get this date started! First, we’ll need to create a New Document; I did so at 11 inches tall by 14 inches wide with a resolution of 300 dpi. This is a case where we’re going to have a horizontal composition, rather than vertical. 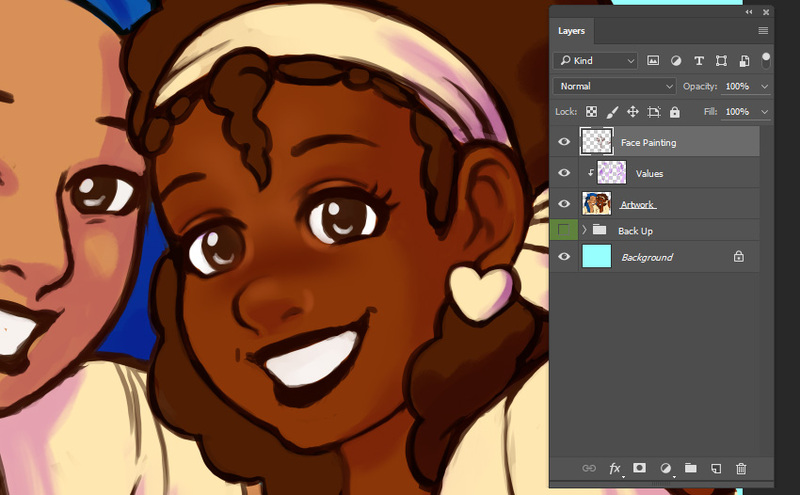 I highly recommend drawing on a New Layer. If you don’t see your Layers panel, you can open it by going to Window > Layers. 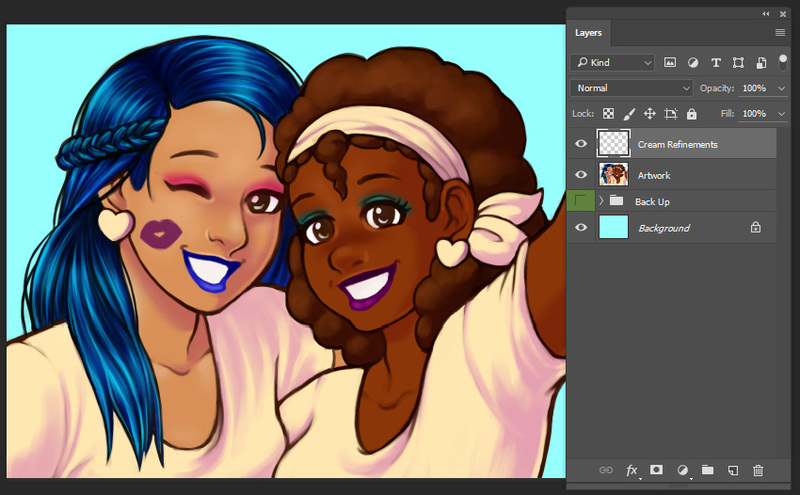 By working on a New Layer, we can keep our artwork and background independent. You may find that you prefer working with multiple layers—and that’s fine! Use as many as you like. 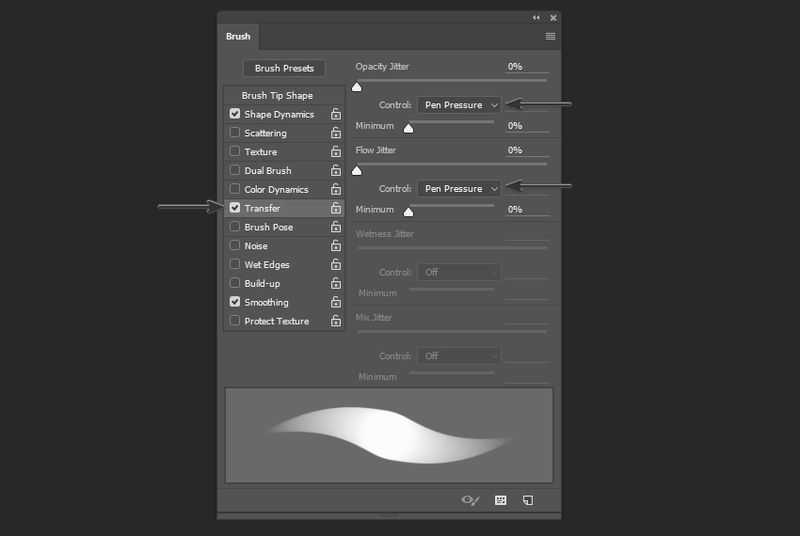 You can easily Flatten your Layers along the way to combine any that you’d like to see condensed. Now, let’s go ahead and start our sketch. I often sketch using a Hard Round Brush. However, I rarely draw without first adjusting the settings in my Brush panel. 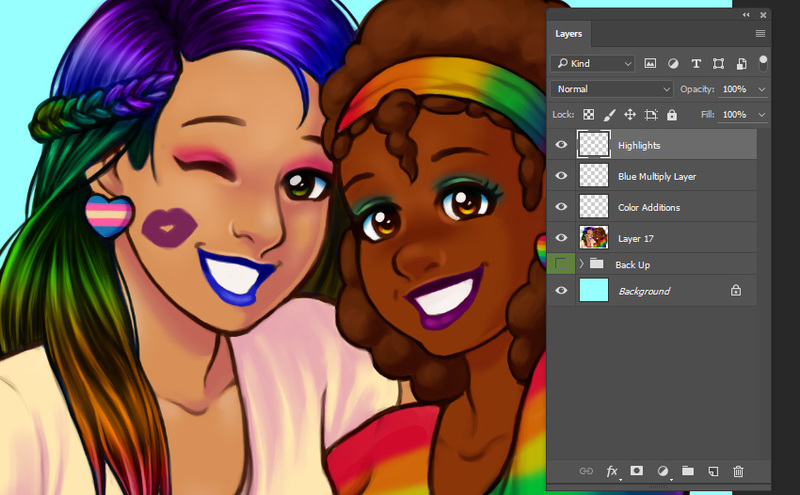 Opacity refers to the amount of transparency, while Flow could be compared to how much color “comes out” of your brush. You can find this under Transfer in the Brush panel. 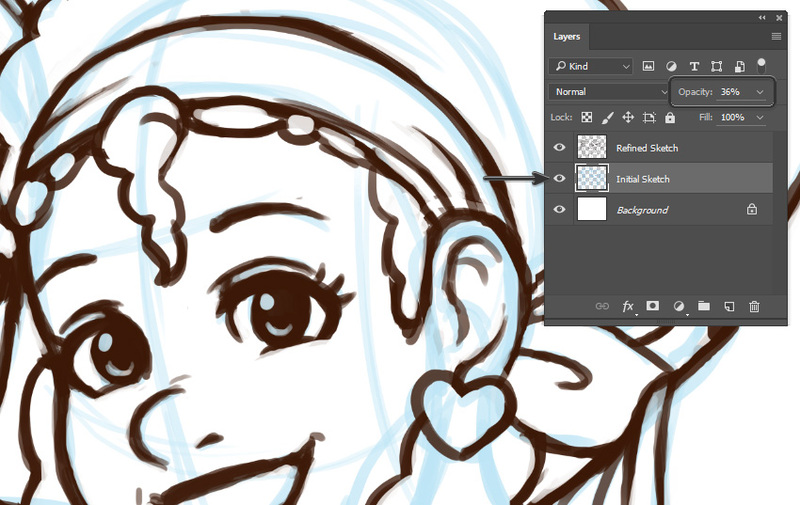 By setting these options to Pen Pressure, you will notice variable Opacity and Flow based on your Brush Strokes. 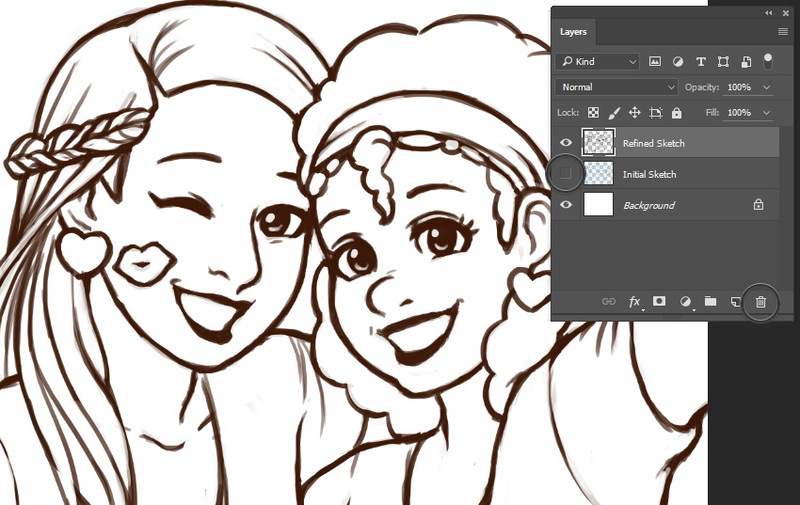 Personally, I think it’s a little more difficult to draw two interacting characters, as opposed to one. 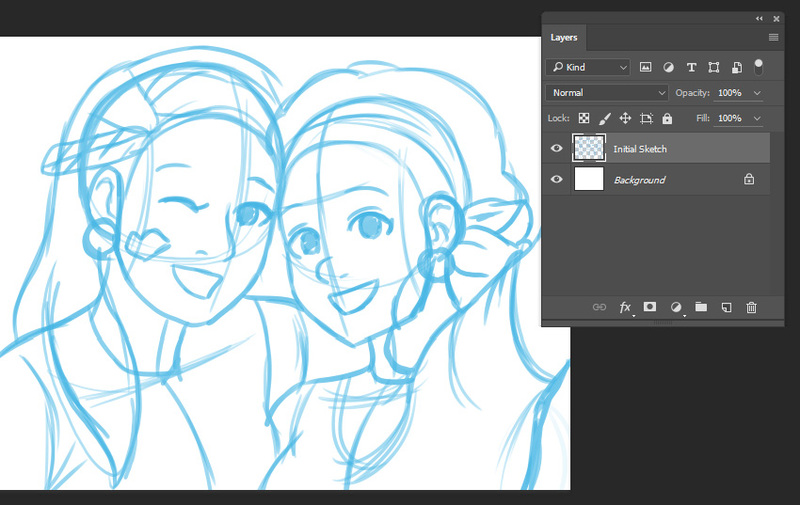 So I know this is a case where I’m going to want to spend a little more time on my initial sketch. I’d recommend taking extra time to think about how you’d like the two characters to visually relate. Do their proportions seem natural in relation to each other? My work is typically stylistic rather than realistic—breaking rules is ok (and fun, in my opinion)! However, for example, I know I want the two characters’ heads to look natural next to each other, as if they are beside each other in shared space. I’ll need to consider these visual relationships if I want to visually communicate that successfully. That brings us to our refined sketch. Again, I largely stuck to my Hard Round Brush. 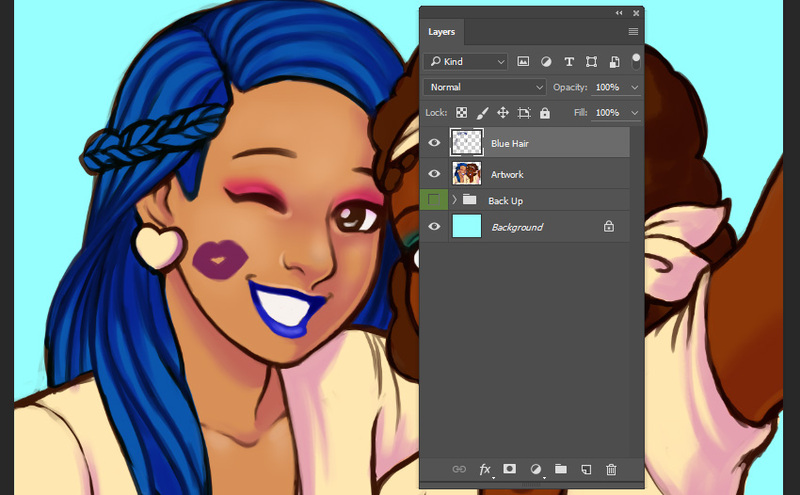 I can either hide my initial sketch Layer by Toggling Visibility Off, or I can dispose of it, using the “trash can” icon in the Layers panel. 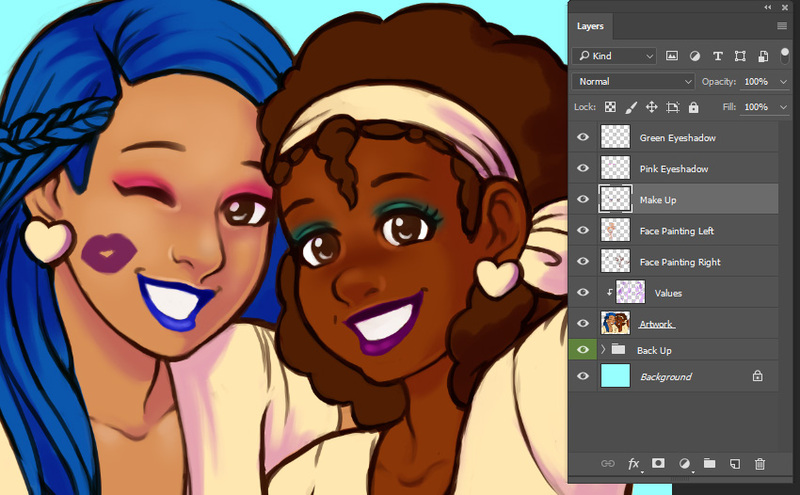 Sometimes, I’ll start with one base color and then apply colors on top, on New Layers. This way, with my colors in Clipping Masks, I can easily change and adjust colors until I’m happy with my selections. You’ll notice that layers with the Clipping Mask applied to my original layer (with Multiply applied) still retain that Multiply Blending Mode assigned to that original layer. To keep things organized, I often like to rename my layers and utilize folders, especially when I know I’m going to have a lot of layers. To rename your layers, Double Click on the name—it’s that simple! You can also do so by Right Clicking on the layer and selecting Rename. 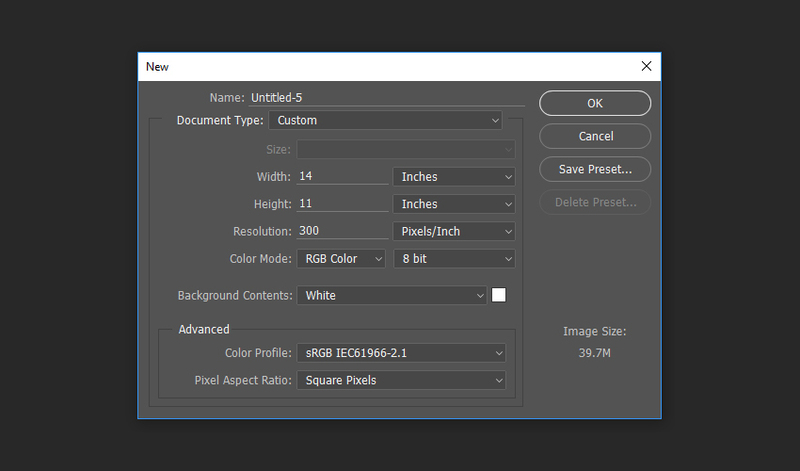 You can also find Layer Colors in this menu—they can also help with organization! 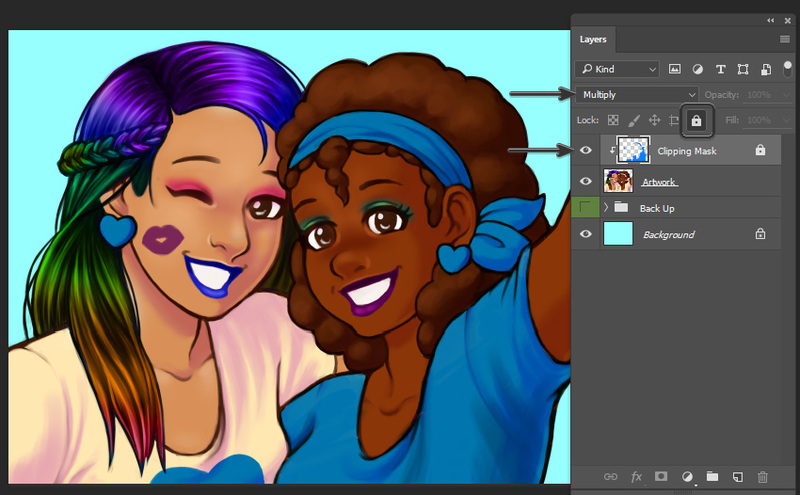 You’ll notice I turned one character’s layers blue and one purple, in this example. 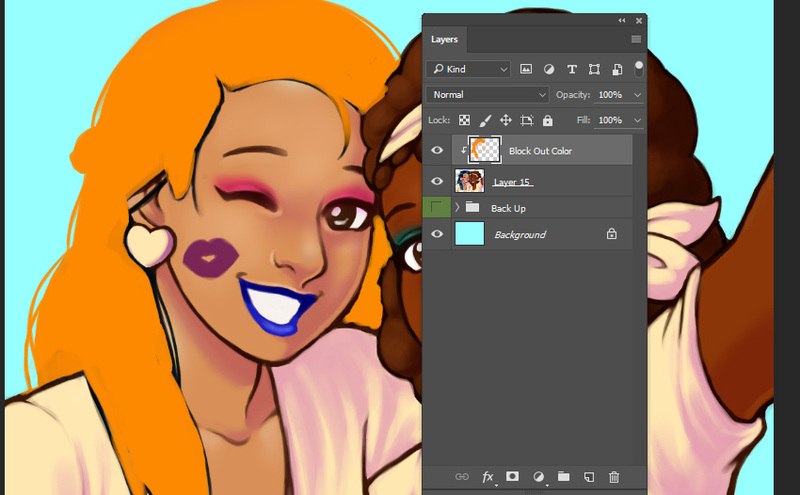 Once I’m happy with my initial color selections, I personally like to flatten my layers. Before I do so, I usually Save my work, just in case I want to “go back”. That said, the background needs some considerations too! 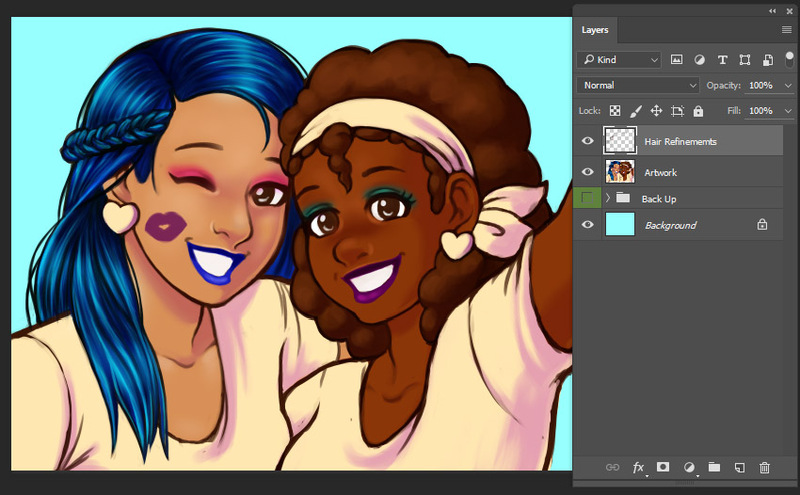 Using the Paint Bucket Tool, I added a light blue color to the Background Layer. I want to create some fluffy clouds here, but we’ll get to that later. 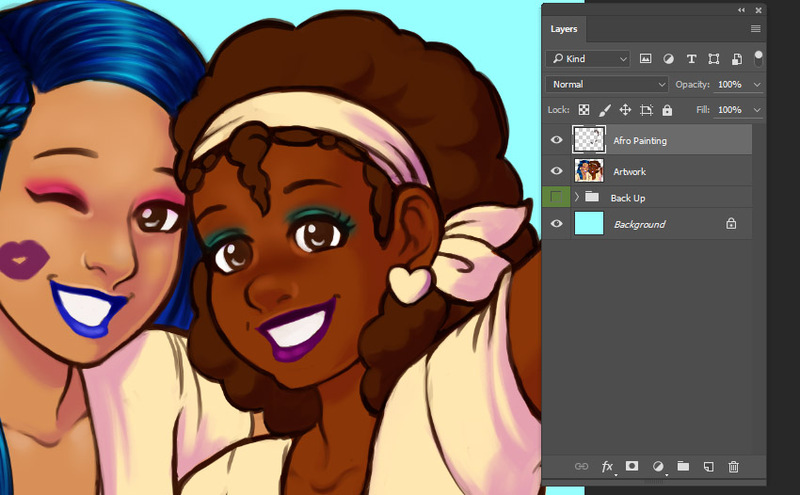 For now, I just want to have that initial background color established. Finally, let’s establish some initial values. I like to use Clipping Masks for this—create a New Layer on top of your artwork and set its Blending Mode to Multiply. Before we begin, make sure you are familiar with the Opacity and Flow in your Options panel. This is located at the top of the software (near File, Edit, etc. 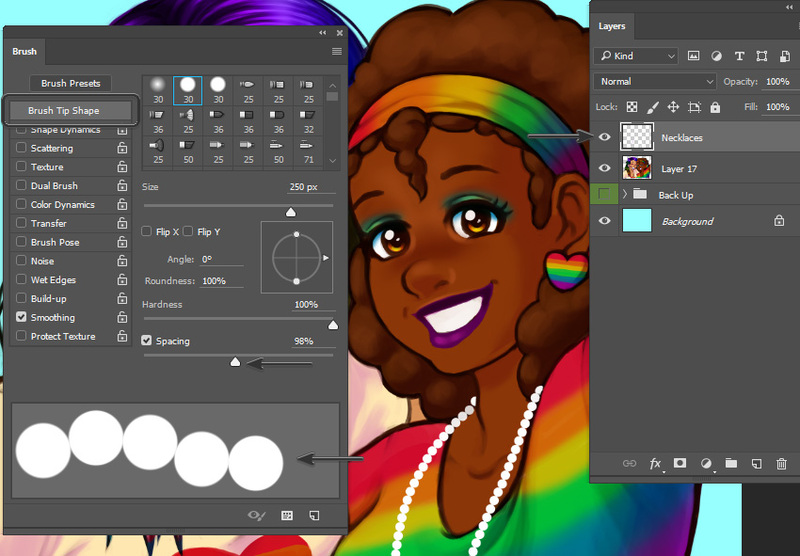 ), and you’ll specifically see these options when the Brush Tool is selected. I often adjust these values, depending on the Brush Stroke I’d like to make. For example, with Opacity and Flow up at 100%, I know I’m going to create a bolder line than if I had them both around 50%. There are no “perfect values” here, in my opinion—change and adjust them, as needed. 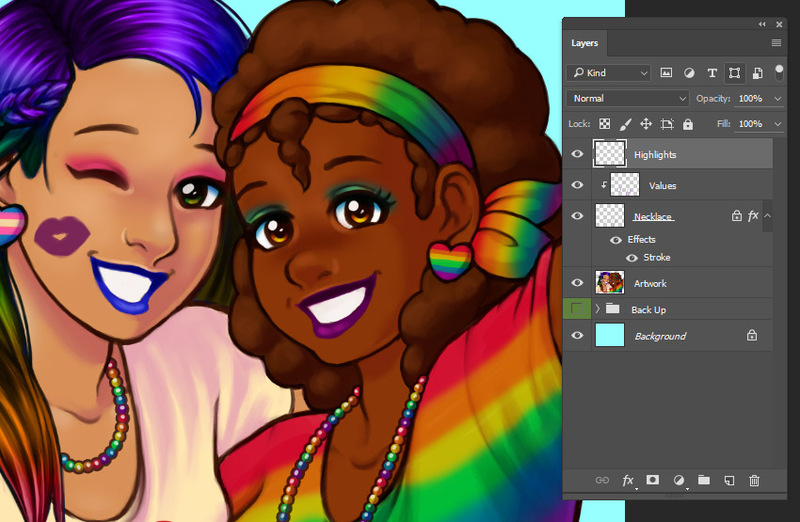 Note that I am using colors inspired by the initial values we placed in the previous step. You can use the Eyedropper Tool to “pick up” these colors. Different skin tones can mean different values and local color. I wanted the shadows to have a similar temperature, for unity’s sake, but this also can mean tweaks, based on the subject themselves. 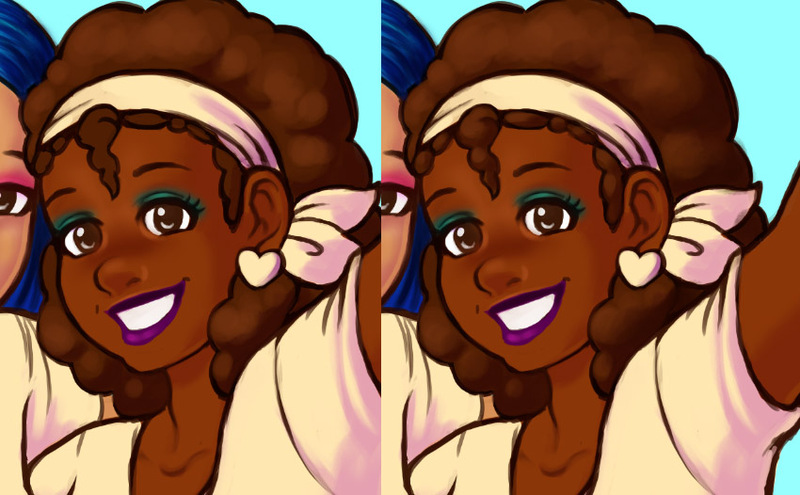 I also removed the kiss mark on the left character’s cheek, only temporarily, while smoothing out the cheek area. Again, I often like to save backup content in a “Back Up” folder—like the initial sketch, for my reference. After pushing the face area further, let’s add some makeup. I’d like both subjects to have colorful, fun eye makeup and some kind of lip color, as well. For the pink eyeshadow, let’s create a New Layer and set the Blending Mode to Multiply. Then, apply a bright, saturated, pink color. Our two characters here have different hair types—one is long, flowing, and straight, while the other is full, curly, and fluffy. So we’re going to approach each a little differently. Let’s start with the character on the viewer’s left. In this case, I like to start with long lines, starting from the crown of the head. I think it’s important not to draw these lines haphazardly. That would make the hair look chaotic. Instead, be purposeful with the direction and flow of your lines. Personally, I like to start with darker values and “work my way light”. When it comes to choosing colors, I use the Eyedropper Tool to select a color based on the initial values that have already been established here. Now, let’s look at the character on the right. The idea of avoiding haphazard lines here still stands—I still like to paint with purposeful strokes, regardless of hair type. However, in this case, I’m going to stick to soft, rounded strokes, as opposed to long, flowing ones. 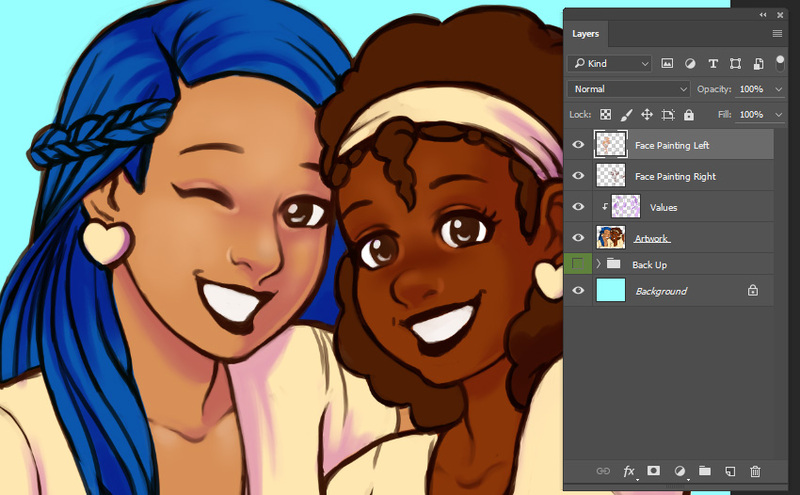 Once I’m happy with the base rendering of the hair, I like to move on to details and stray hairs. 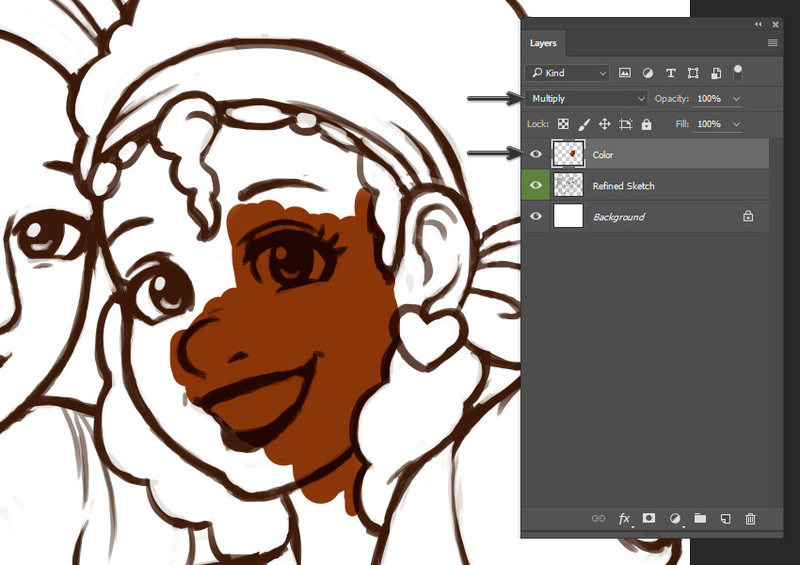 We’re going to add color variations in various parts of the illustration—but before we do so, let’s refine the cream colored sections. I refined the values and folds using both a Hard Round Brush and a Soft Round Brush. Now, for the fun part! Let’s add in a whole bunch of color variations. We’re going to use Blending Modes as an easy way to alter the color in our work. Let’s use the character on the viewer’s left as a preliminary example. We’re going to add some colors to her hair. I started by creating a New Layer and then setting it as a Clipping Mask, on top of my artwork. 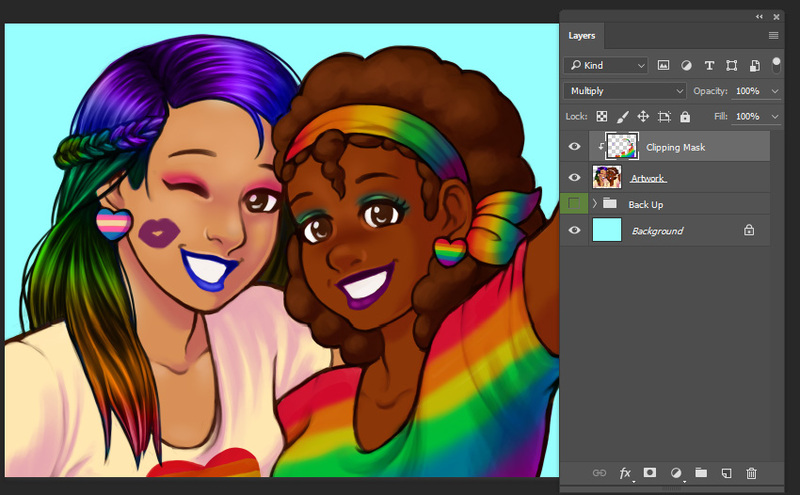 Then, I started by blocking out the area I’d like to color. It doesn’t have to be the final color(s) of my choice at this phase (I chose orange). Next, let’s change the layer’s Blending Mode to Color. Notice how this then changes the color of the area we’ve filled in. 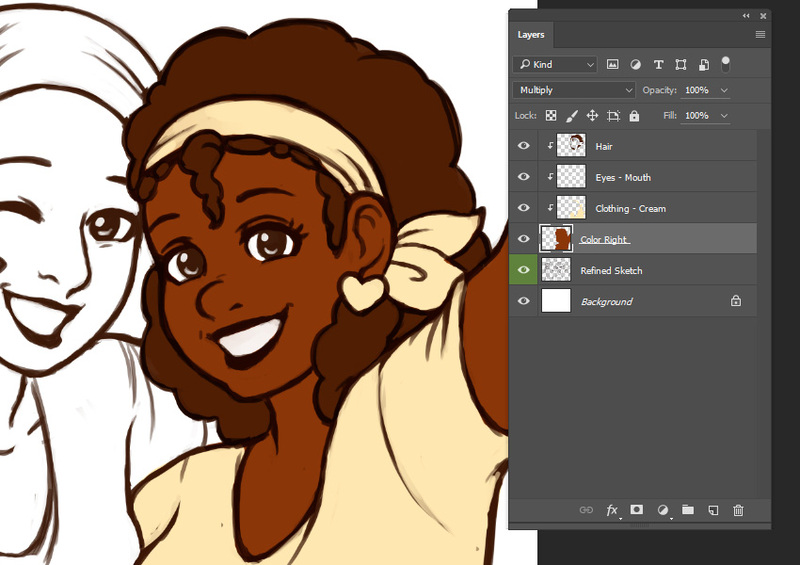 Now, let’s add some color variations in other areas of the composition. Like in our previous step, start by creating a New Layer. 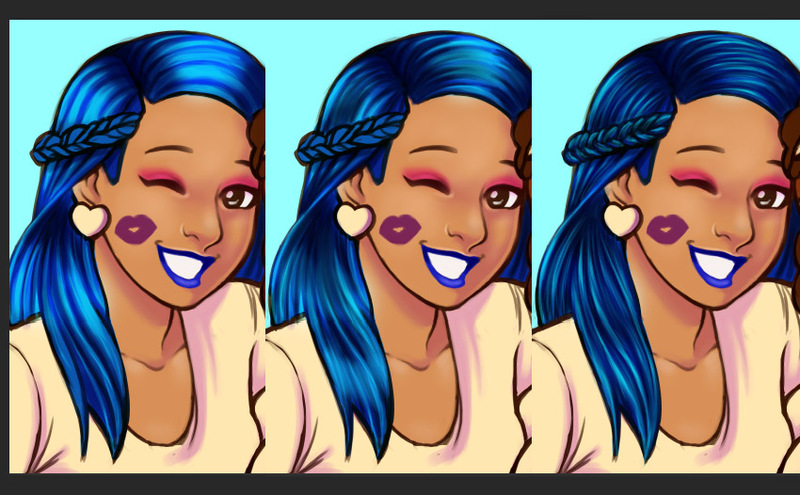 Then, block out the area where we’d like to add color variations, first, in a single color (I chose blue). This layer’s Blending Mode should be set to Multiply. Once you’ve finished blocking out the area where we’re going to add color variations, make sure to Lock Transparent Pixels on this layer. This way, we can add all the color variations we’d like, without worrying about going outside of the boundaries of these areas. 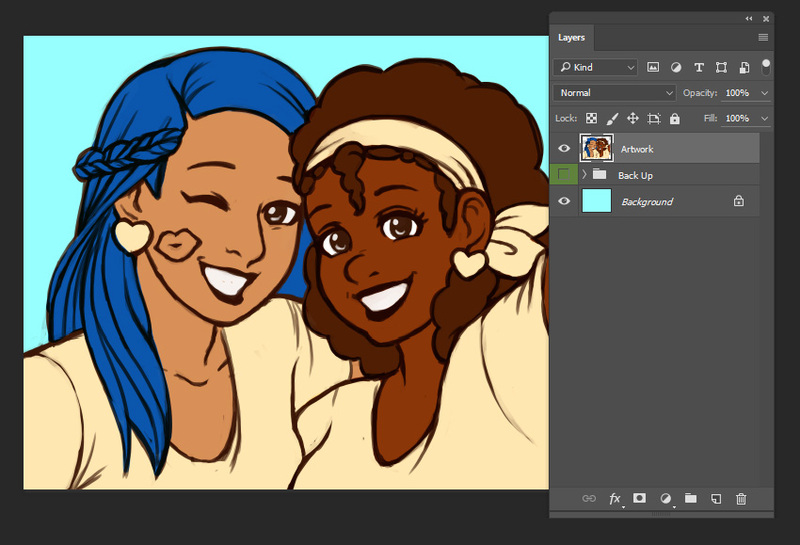 Now, it’s time to add colors! 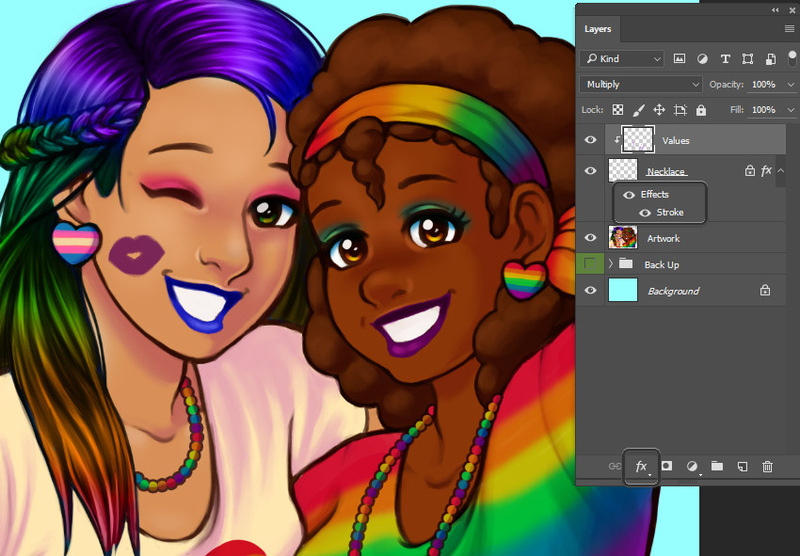 I used a Soft Round Brush to add rainbows to the right character’s shirt and headband. 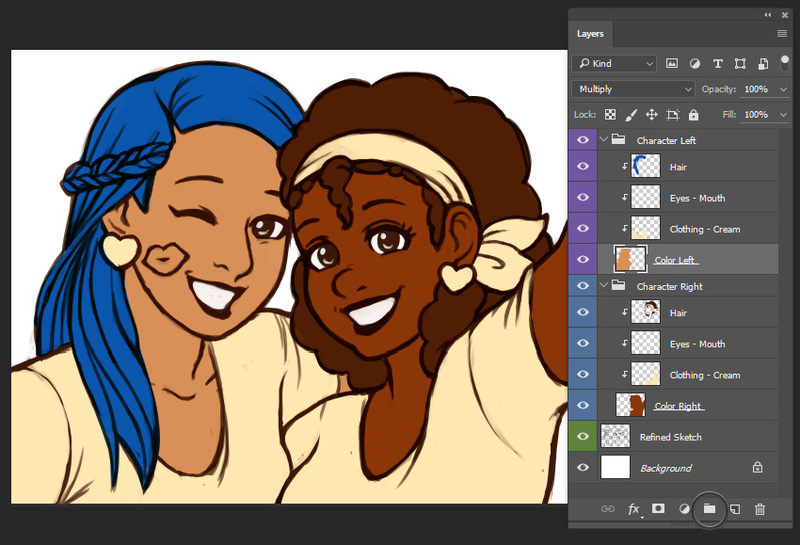 Then, I used a Hard Round Brush to add colors to both characters’ earrings—notice how these lines have a more hard edge. 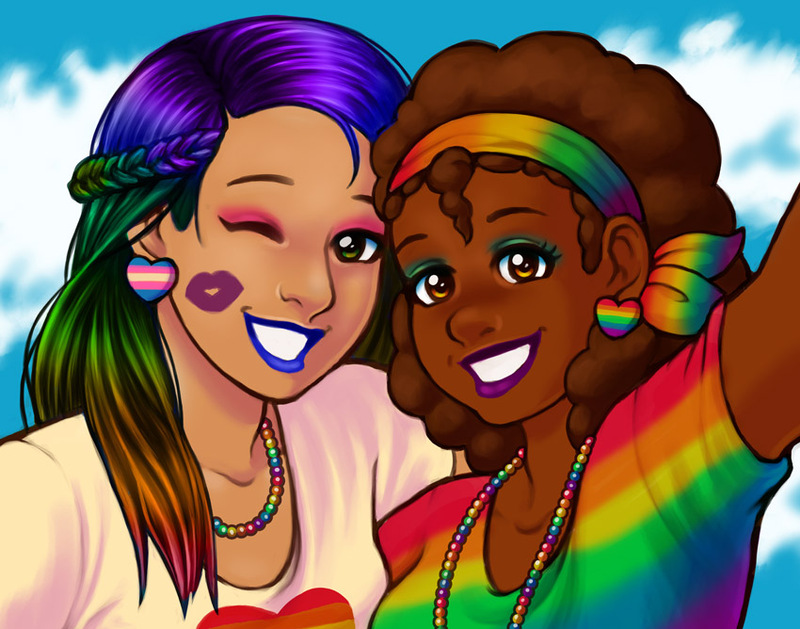 The left character’s earrings are in reference to the Transgender Pride Flag, while the right character’s earrings are in reference to the Rainbow Pride Flag. First, let’s add some color and polish to the eyes. Finally, create one more New Layer. On this one, we’re going to emphasize the highlight we created in our original sketch. I used a Hard Round Brush to do this. I thought some additional jewelry here might be fun—so I added some rainbow necklaces! There’s an easy way to do this in just one Brush Stroke: change your Brush Spacing so your Brush Strokes look like a line of dots! To color these necklaces, Lock Transparent Pixels on the applicable layer. This way, you can add all the rainbow variations you’d like, without worrying about going outside of the shape we’ve created. Finally, let’s add some highlights to the necklace’s beads. I recommend doing so on a New Layer, using a Hard Round Brush. To wrap things up, let’s make some simple additions to the background.